Hi, I'm Mum from "Me and My Mum Quilting. I fell in love with making quilts years ago when my daughter (the "Me" of this relationship) made a simple block quilt. We quilt together almost every day, by Skype. 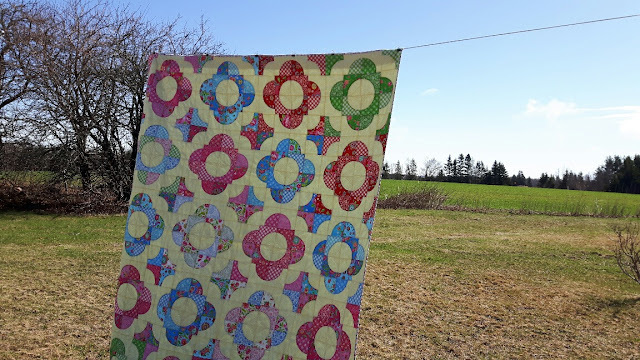 We both have subscriptions to the FatQuarterShop's SewSampler boxes, and we have been trying to decide on a pattern to use up some of the fabric we had received. Today, we started cutting the material for a quilt called " Garden Star". The fabrics are "Olive's Flower Market" and Kona's 2017 Color of the year. The pattern we are using is just perfect because it requires only 2 charm packs and a contrast color with some background. "Garden Stars" is a free tutorial from MSQC. 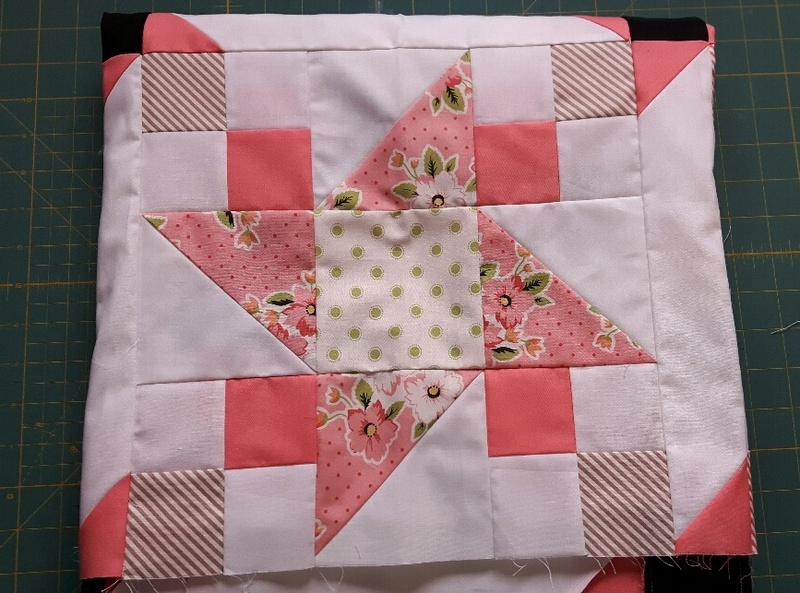 We decided to use the Kona solid as the contrast because it matches the charm squares so nicely. 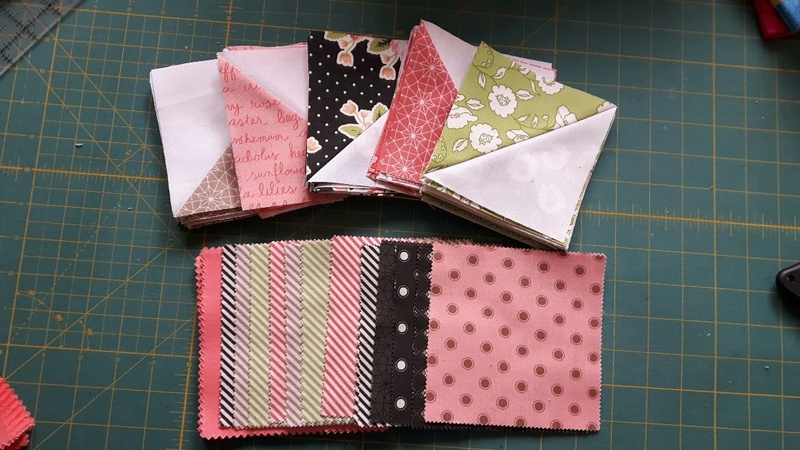 Here are the HST's I made as the first step in constructing this block, and the fabrics I am using for some 4-patches.